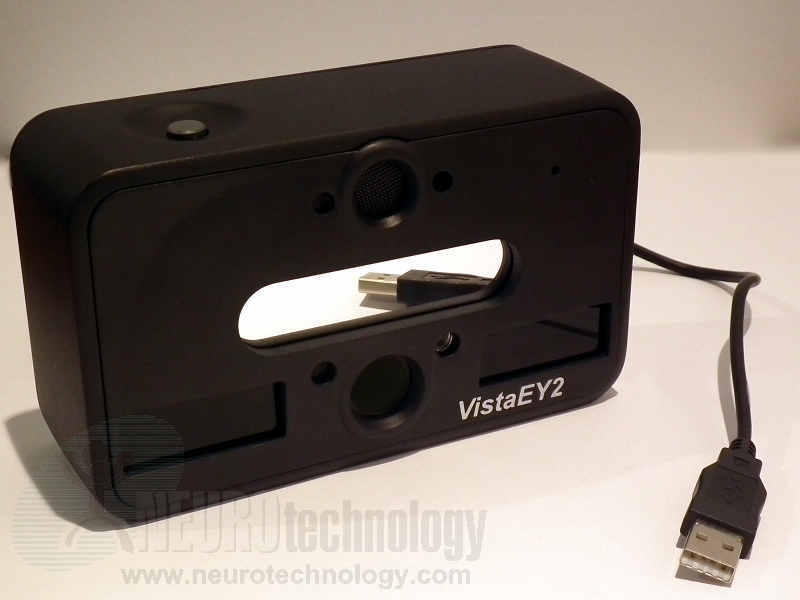 The VistaEY2 from Vista Imaging is a multimodal USB 2.0 biometric device that is able to capture dual iris images and face images. The device is also able to capture audio input. Multi wavelength infra-red illumination, distance sensing technology, integrated mirror and LED are used to improve iris images capture. An integrated flash allows to capture faces in low-light environments. The device also includes integrated microphone and speaker that provide 16 KHz 16-bit audio I/O. Device manufacturer specifies that captured iris images are ISO/IEC 19794-6 compliant and face images are ISO/IEC 19794-5 compliant. MegaMatcher 11.1 SDK – iris, face and voice capture. MegaMatcher On Card 11.1 SDK – iris and face capture. VeriEye 11.1 SDK – iris capture. VeriSpeak 11.1 SDK – voice capture. 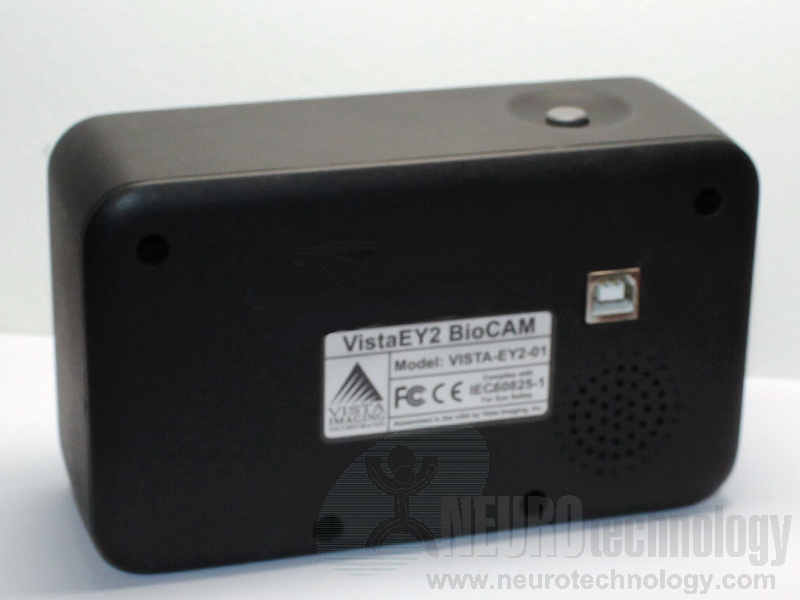 Buy VistaEY2 at Biometric Supply – a subsidiary of Neurotechnology. VistaEY2-02 – dual iris & face capture device with iris liveness detection. VistaEY2H – dual iris capture device with iris liveness detection. VistaEY2R – dual iris & face capture device with iris liveness detection and automatic tilt with face tracking. VistaFA2 – single iris & face capture device. VistaFA2E – single iris & face capture device, in full enclosure for advanced applications.